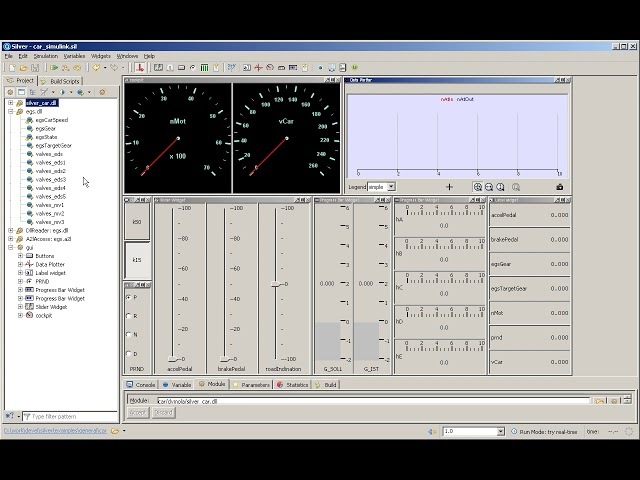 Silver, our virtual ECU platform, is used to move development tasks from road and test rigs to Windows PC, to enable maximal efficient development of ECU software. With Silver, you can build virtual ECUs that closely mimic the behavior of their real counterparts. 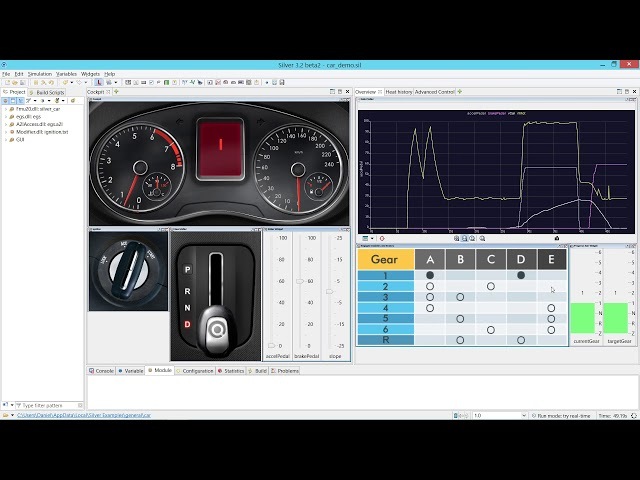 Silver is also a powerful experimentation environment for validating and testing the interaction of networked ECUs, engine, transmission and other vehicle components through simulation. Do not lose time anymore when upgrading to a new software release on the vehicle. After the initial effort to set-up the automated build process, updating the vECU for a new software release is typically done within a few minutes. This way, software bugs can be detected early by simulation, before moving to the vehicle. 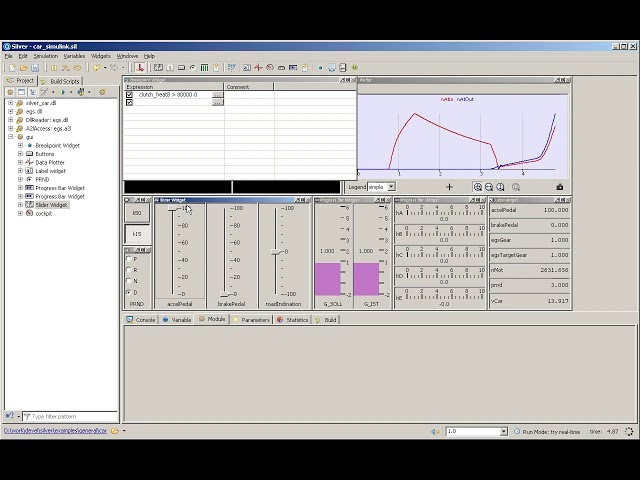 Silver allows to run simulation models of various tools (such as MATLAB / Simulink, Dymola, SimulationX, MapleSim, AMEsim, GT-Power, axisuite) on Windows PC without having these tools installed in the execution environment. During distributed development, models are exchanged between developers in binary form (FMU, sFunction, Silver module) – without passing the corresponding source code. This helps to protect your know-how. Silver is used by leading car manufacturers and suppliers, including AMG, Audi, BMW, Bosch, Continental, Daimler, Ford, Honda, IAV, Porsche, Renault, Schaeffler and Volvo Cars.